The Tablet Market have gone wild with the launch of Google Nexus 7 in July this year. 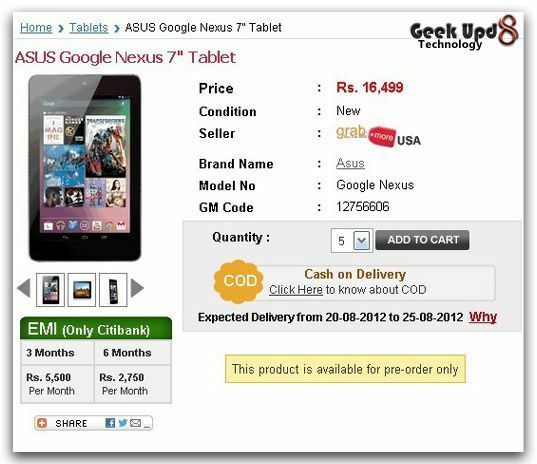 GeekUpd8 have explained the technical specifications of the nexus 7 tablet and reasons why one should really buy this. 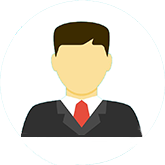 As the tablet popularity graph is going high day by day, people across the globe are interested to get the tablet in their hands by earliest. The size and price of the Nexus 7 matches the Kindle Fire. Both have 7-inch screens and sell for $199. The Nexus 7 is slightly lighter at about 0.75 pound, compared with the Kindle Fire's 0.9 pound. S 199 is the price of the product in United States of America. The tablet market in India was already on fire with the Aakash Tablet, but Nexus 7 being a google product have caught much more attention in short span of time. 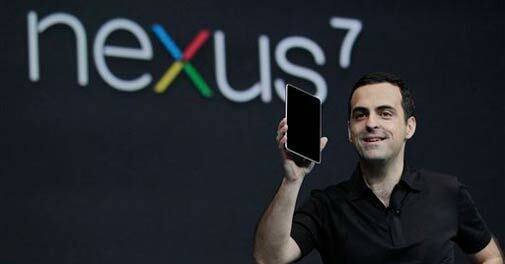 Speculations are made by experts to get a tentative date for the launch of Google Nexus 7 in India. According to reports, the tablet will officially hit the Indian market by the end of September this year. The company has yet not announced the price of the Tablet for the Indian Market and thus everyone is making wild guesses. Although, officially Indians have been told by Google to wait to get their hands on Nexus 7 tablets. But if you really are too eager to try this out, here's a solution for you than can get you this tab in 3 - 4 weeks. I found this solution, while checking out some eCommerce sites. An ecommerce site called Grabmore, which is said to specialize in helping you get US based products in India, have taken a step forward for people who just can't wait to try this out. According to the pre-order listing, Nexus Tablet will cost you Rs. 16,499/- approximately Rs. 5000 more than the official US price which is $ 199. The fun part is that you can get this tab on EMI (equated monthly installments) through this website. The expected delivery date on Grabmore is from 20-Aug-2012 to 25-Aug-2012 if you order on 19th of July i.e today.